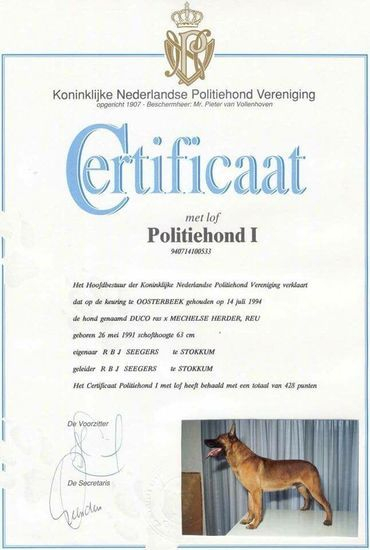 We are a specialised breeder of KNPV Malinois' - exclusively line-breeding on the legendary Duco II Seegers PH I 428 CL. Duco II was specifically chosen as the foundation of our tactical breeding and training program, due to his ability, to reproduce excellent service dogs. If your intention is to purchase an exceptional KNPV Malinois, that comes with a conditional two year replacement guarantee, look no further, as you've come to the right place. We are conveniently located near Florianopolis, Brazil and Atlanta, USA; with an agent in the Netherlands.